Find Your Answer Here And Scroll Down For Entry Details! 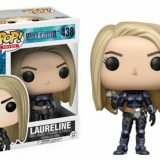 o celebrate the release of the highly-anticipated and visually spectacular new adventure film from legendary director Luc Besson, VALERIAN AND A CITY OF A THOUSAND PLANETS, starring Dane DeHaan, Cara Delevingne, Rihanna, John Goodman and Ethan Hawke; we are giving you the chance to win your very own set of 4 Valerian Funko Pop! Figures! In the 28th century, Valerian (Dane DeHaan) and Laureline (Cara Delevingne) are a team of special operatives charged with maintaining order throughout the human territories. Under assignment from the Minister of Defence, the two embark on a mission to the astonishing city of Alpha—an ever-expanding metropolis where species from all over the universe have converged over centuries to share knowledge, intelligence and cultures with each other. There is a mystery at the center of Alpha, a dark force which threatens the peaceful existence of the City of a Thousand Planets, and Valerian and Laureline must race to identify the marauding menace and safeguard not just Alpha, but the future of the universe. 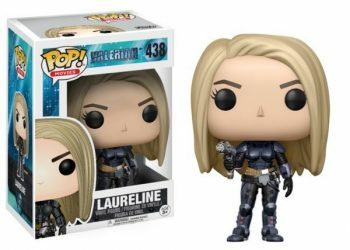 We have a set of 4 Valerian Funko Pop! Figures (Valerian, Laureline, Igon Siruss and Doghan Daguis) to give away to one lucky reader. Simply watch the trailer and answer the question below for a chance to win! What is the name of the City of a Thousand Planets? The prize draw opens at 00:01 GMT on 28th July 2017 and closes at 21:00 GMT at 27th August 2017. Entries received after this time will not be considered. The Promoter is Lions Gate International (UK) Limited of 5th Floor, 45 Mortimer Street, London, W1W 8HJ (Company No. 08936180). The prize draw is run in association with FilmJuice.com and Grapevine Digital Limited. To enter the prize draw, entrants must Answer the question by emailing their answer, postal address and contact number to COMPETITIONS@FILMJUICE.COM. They must do so by the prize draw closing date and time. The prize winner will be chosen at random performed by a computer process on 28th August and contacted by a representative from FilmJuice.com by Email provided on entry within 24 hours of the prize draw closing date. This prize draw is not open to employees of Lions Gate International (UK) Limited, Grapevine Digital Limited or FilmJuice.com or associated agents of those companies or anyone else professionally connected with this prize draw. The name of the prize winner will be announced via email and may be obtained for three months after the prize draw close date by sending a signed handwritten request along with a stamped self-addressed envelope to the Marketing Team, Lionsgate, 5th Floor, 45 Mortimer Street, London, W1W 8HJ marked with the name ‘Valerian Funko Pop! Figures.